Sharp’s new Advanced series machines have a built-in Sharp Serverless Print Release feature. This is commonly referred to as Follow Me Printing. 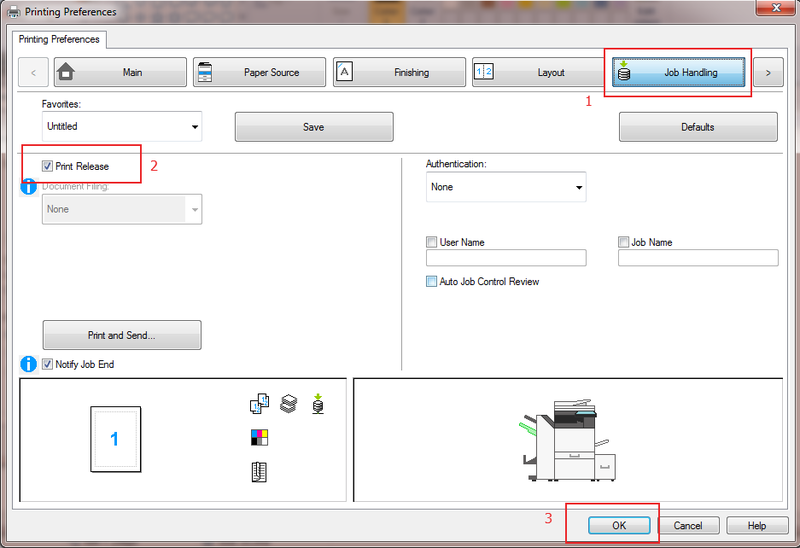 A user can print to one machine where it will be stored, then walk to 1 of 5 connected machines to release the print. The real selling point here is that this procedure requires no software or server. 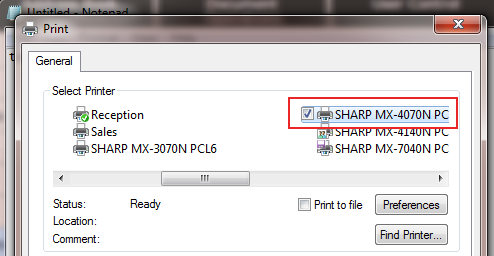 It only requires Sharp Advanced Series Printers. There is a bit of setup involved so we have complied the instructions below. Open all of your Sharp devices web pages. For the sake of this demo, we are using a MX-4070N and MX-3070N. 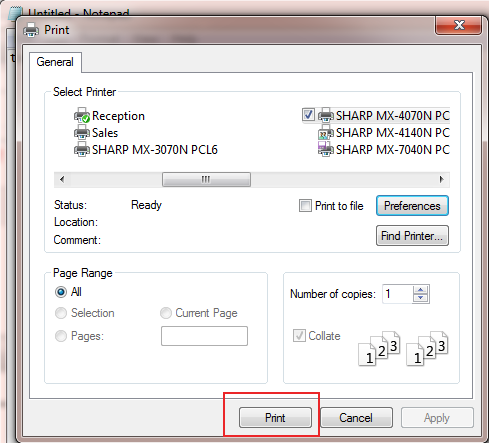 Enable Print Release and leave this one on Primary Unit. Change other settings to your preference. The Connecting Code can either be left blank, or the same code can be entered into each Sharp system. Click Submit. Change the bullet point to Print Release, then click Submit. Now move to your secondary Sharp machine’s webpage. 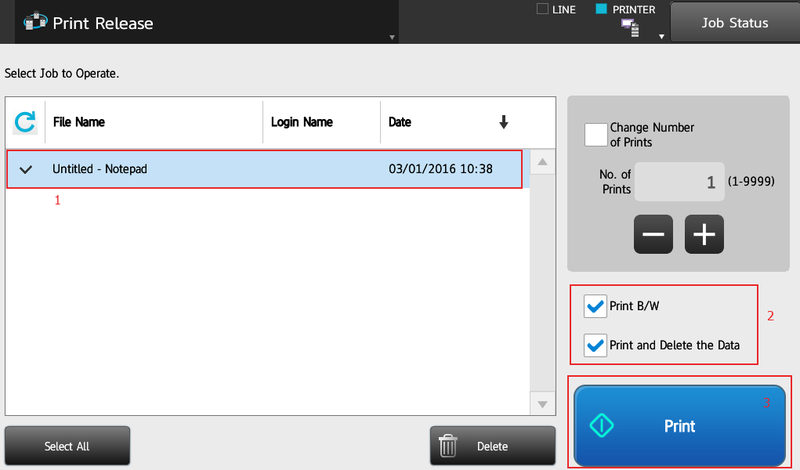 Repeat steps 2-4 then enable Print Release, change the drop-down to Secondary, then enter the IP address of your Primary machine, click Submit. 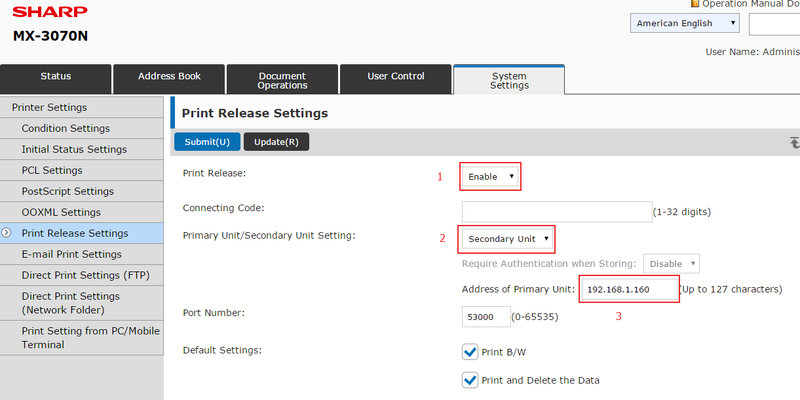 Repeat Steps 6-8 on your secondary machine to add Print Release to your secondary Sharp system’s home page. 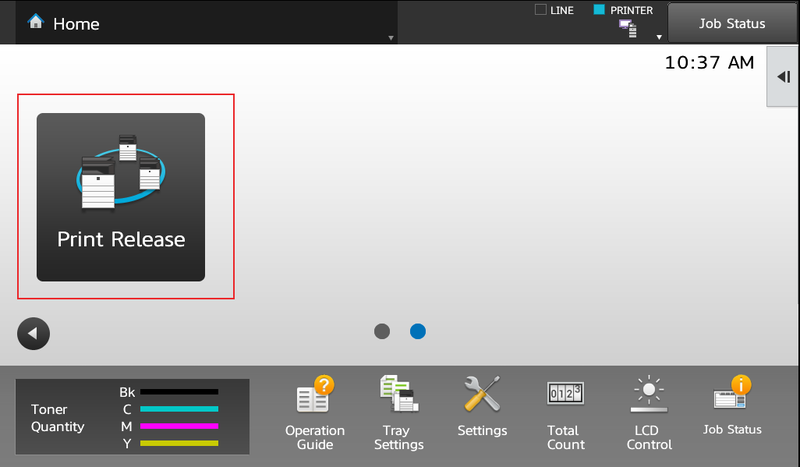 Go to the Job Handling tab, check Print Release, click OK.
Touch your job to select it, edit your preferences on the right menu, then touch Print. If you have several jobs waiting you can “Select All” then touch print. Skelton Business Equipment provides useful instructions for several Sharp features. If you need to request a specific set of instructions please contact us. If you are in the market to purchase a machine that can make use of the Sharp Print Release function, please request a free copier quote. You can purchase outright or lease a copier from Skelton. If your company is in Houston we will provide free delivery and installation INCLUDING printing/scanning setup. Can this work with AD/LDAP integration? How about with Card Reader? Unrelated: Can we register the Card Reader cardid straight from the MFP? If you integrate your machine with active directory this should work. The first time a user swipes their card it will ask them to enter their Domain Username/Password, and the machine will cache that information and next time they will just swipe and it will let them in. If they change their network password they will need to login again. Can this be setup on a MAC? When I install the PS driver on a mac, I can see an area for “print release”, but the document prints out instead of being held in print release. Try using the retention option in the job handling area of the driver. How many machine can be in this loop? Get a quote to compare with your current contract!